My favorite abandoned building - indeed, my favorite American building full-stop - is Buffalo State Hospital, now referred to as the H. H. Richardson Complex, and originally known as the Buffalo State Asylum for the Insane. I am now working on my first monograph, through People Inc. Press, which is all about this architectural jewel. In the mean time, I have set up this gallery to showcase some previously published photos - as well as a few new teasers to let you all have a taste of what the final book is going to be like! But you'll have to wait until late 2014 to see the complete collection. 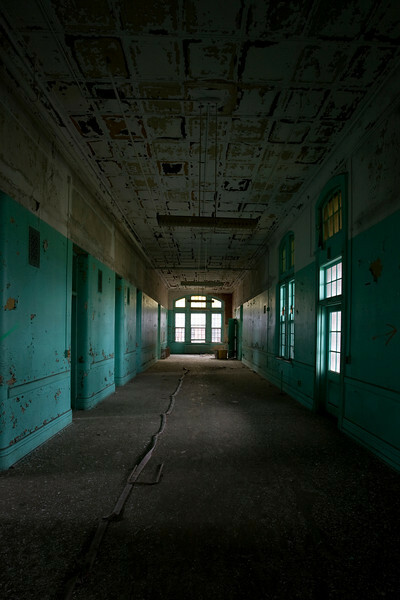 Meanwhile, enjoy this vicarious exploration of America's greatest abandoned asylum! All photographs are currently available as prints, although those that are currently on offer as limited editions will only be available sized 8x12 through Smugmug. Have fun walking the halls of this grand building!